When we visited Texas and California in 2012 we got to try a lot of authentic Tex-Mex and Mexican food. 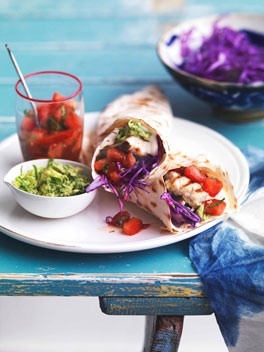 Fish tacos are extremely popular in the States, they are light and fresh, quick and easy, and can be made with your favourite fresh seafood- including prawns, calamari, crab or western rock lobster! With our coastal lifestyle and glorious summer weather we should embrace them here, and what better way to celebrate Australia Day than with some beautiful fresh Aussie fish? Here are a selection of great Fish Taco recipes to get your mouth watering!